Here’s a handy list of the must-see sights of any visit to Kraków. There’s also a handy map below to help you get your bearings. Keeping watch over Europe’s second largest market square for the last seven centuries, the imposing Gothic spires of St. Mary’s Basilica have become a veritable symbol of Kraków itself and a focal point in the stories that make up the city’s mythic and historical past. 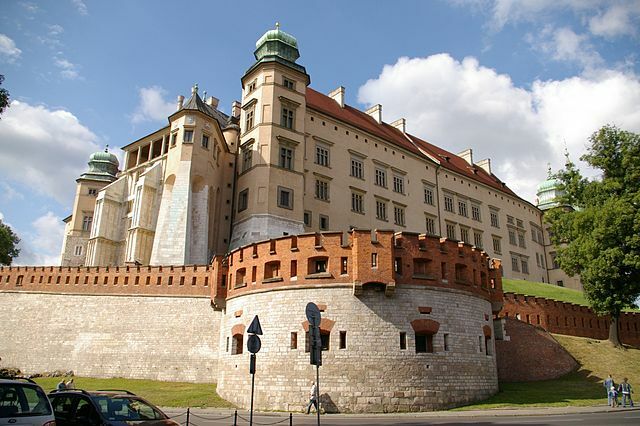 Wawel Hill is the ancient nucleus of the city, perched on a limestone bluff on the banks of the Vistula, with a magnificent 14th-century castle. The Wieliczka Salt Mine has been the world’s longest active salt mine and perhaps the most startling example of industry meets art. South of Kraków’s Old Town,the city’s Jewish quarter is an area with a rich history, and the bohemian charm of quirky cafes and local beer basements. Rynek Główny is 40,000 sq ft of café’s, museums, landmarks, and hotels is punctuated with some of the most magnificent architecture the city has to offer. On the north side of Kraków’s Old Town, far away from the Wawel castle hill, stands the remnants of old Krakow’s outer fortifications. It’s Poland’s Westminster Cathedral, the absolute focal point of the country’s religious history, crowning place of kings and queens and architectural overseer of the famous Cracovian gothic skyline. Encircling the famous Old Town of Kraków, this pleasant and quiet park is a veritable sea of green in the summer months, awash with flowering beds and towering pines that sway in the breeze. All year round, cobbled, historical Floriańska Street is where much of Kraków’s action, landmarks, and charm are to be found. The baroque St. Peter and Paul’s Church sits back from the street, behind a terrific set of railings and late baroque statues of real arcane charm. Over 1M people visit Auschwitz every year, to pay homage and their respects to the millions who were affected by this; one of history’s greatest of crimes. A 2-hour drive south of Kraków, Poland’s outdoor activity capital is nestled deep below the sharp peaks of the high Tatras.